We are offering our customers precisely designed the range of Bosch High Pressure Pipe. Apart from this, these pipes are offered to the clients at the reasonably price. We " Polymer Marketing Corporation " are leading supplier of Heavy Pressure Solvent Cemented Pipe and providing to our customer in best quality. Backed by the team of skilled professionals, we are offering a quality assured array of this product. We offer widely demanded amongst the clients for their high strength. Besides, offered products are made accordingly as per the requirements of the clients. We have gained a remarkable position in the market that is involved in offering High Pressure PVC Pipe. 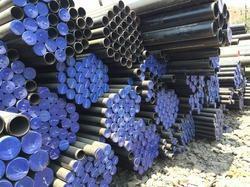 We Supplier wide range of high pressure pipe, which are available in different specifications. These can be customized as per the specific requirement of our clients. We fabricate in SS and MS high pressure pipe line for petroleum and transformer oil supply for our clients. 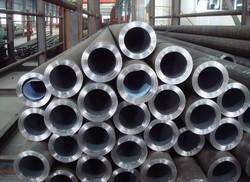 We offer to our customer wide range of high pressure pipe. 75mm 8kgf/cm2 at 1400 Rs. Our organization is ranked amongst the reputed names in the market for providing CNG High Pressure Pipe.